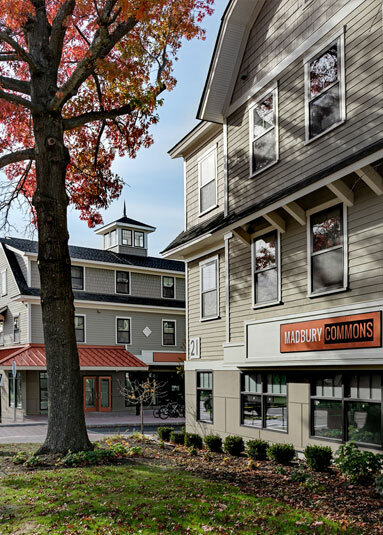 Madbury Commons was an extensive TMS Project, done in collaboration with PROCON Construction and developer Golden Goose Capital. 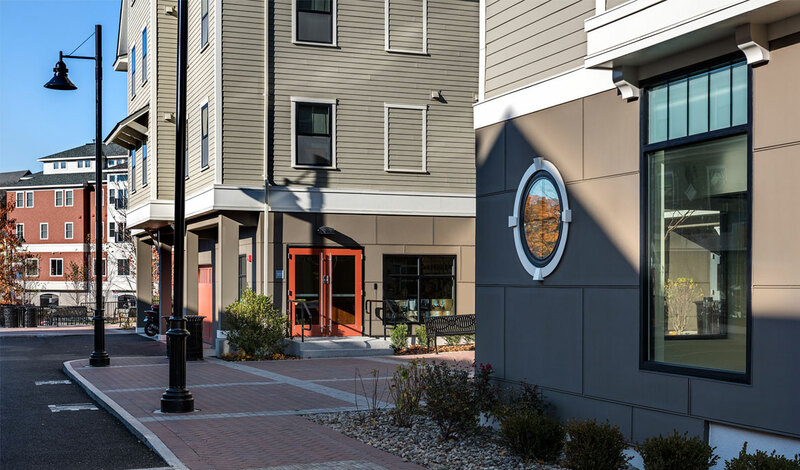 The TMS Team produced the comprehensive design for this 208,000 square foot multi-purpose project which is housed in two buildings separated by a center corridor or “street” which creates a sense of a New England village with shops on both sides of the street. 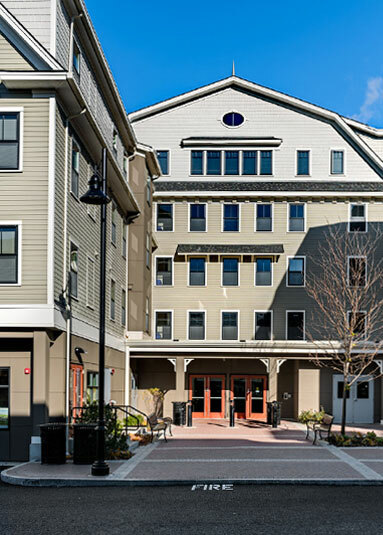 The project is a 525 bed student housing complex featuring 126 fully furnished student apartments. 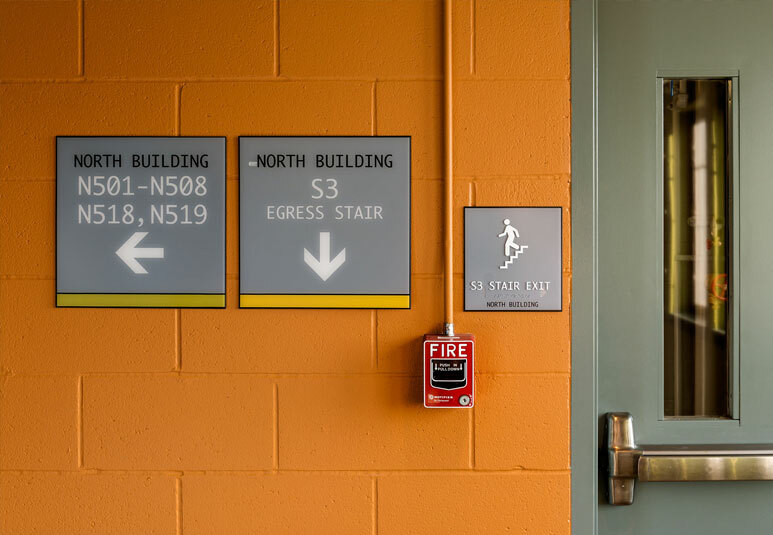 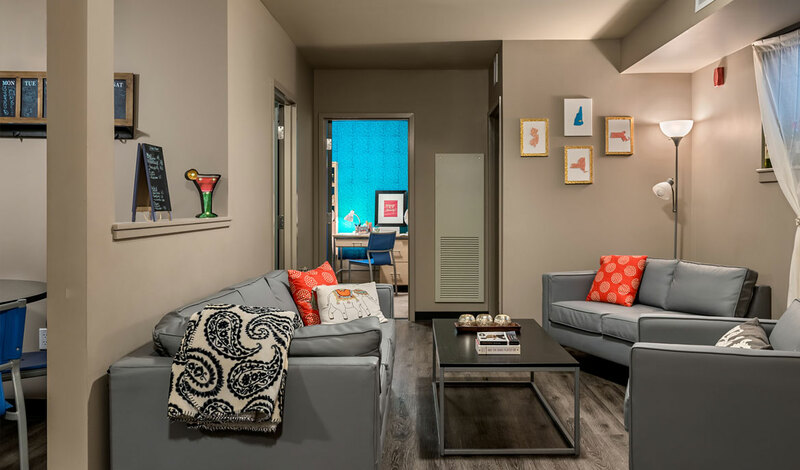 Each apartment has an open, luxurious floor plan and while each is stylishly furnished, there are distinct spaces that can be personalized by the students. 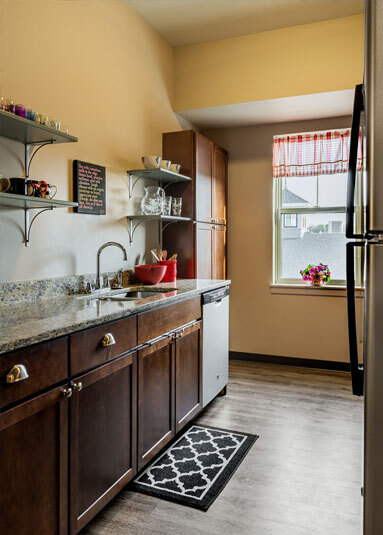 The kitchen are equipped with granite countertops, stainless steel appliances and ample storage and in addition, a dishwasher and washer and dryer are standard amenities in each apartment. 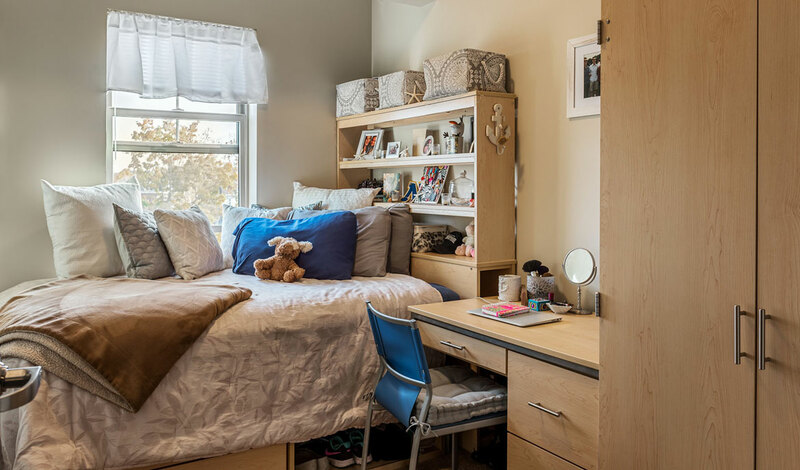 Each bedroom is a single room, with a built-in bed, desk, wardrobe and under-bed storage. 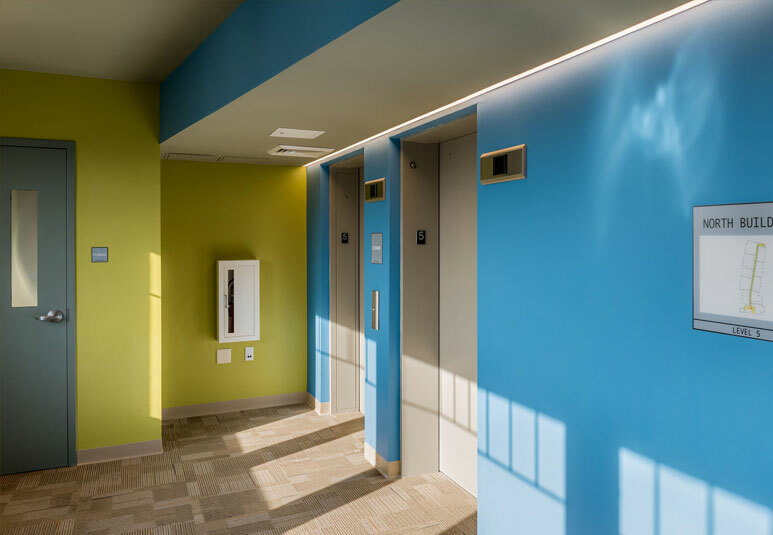 Available, natural light was an important design consideration for each apartment and the common areas, designed by TMS’s interior design department, make ample use of bright colors and interesting textures. 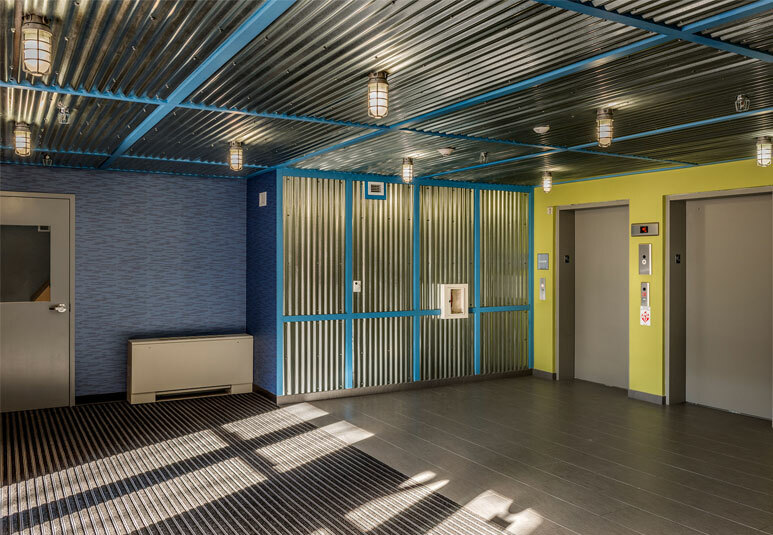 The project also includes 46,000 square feet of commercial space with 38,000 square feet of this space dedicated to UNH’s InterOperability Lab: a hands-on learning experience for future engineers.